Lettuce growers in the desert valleys of the U.S. Southwest will face more federal scrutiny during the winter growing season, in hope of preventing the type of contamination with E. coli bacteria that killed five people and sickened 205 others this year. 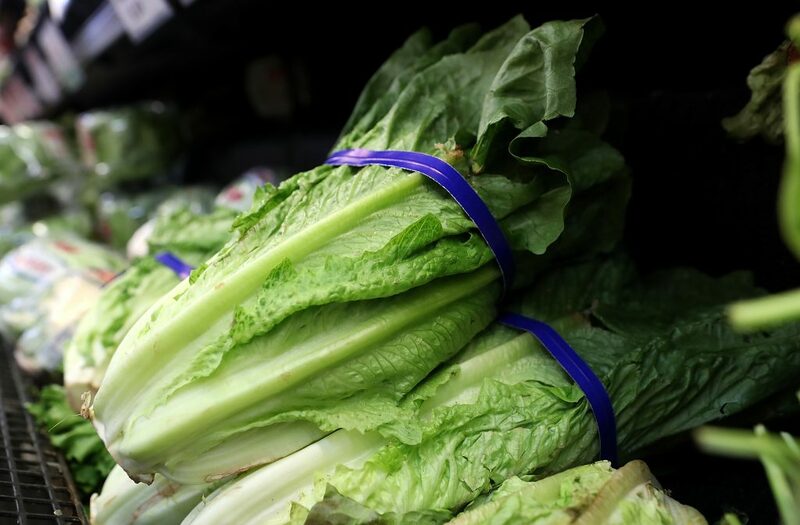 The Food and Drug Administration for the first time will routinely test samples of romaine coming from the lower Colorado River area in Arizona and California, which will begin its harvest this month and continue through April. Growers in both states also have committed to treating irrigation water drawn from canals that pass within 400 feet of cattle feedlots, and will triple the distance between their fields and the feedlots. The FDA has implicated a Wellton, Ariz., feedlot that housed more than 100,000 head of cattle as the most plausible source of a toxin-producing bacteria strain, known as O157:H7, that caused the outbreak that spread to 36 states last spring. But the FDA is in a bind. After a Trump administration edict to ease regulation across all industries, the agency last month announced further delays in regulations that would address issues such as safety standards for water used to irrigate crops. The quasi-governmental groups formed by both states to enforce federal safety rules countered Friday that they were well ahead of the FDA’s regulations. “The industry as a whole took what happened seriously. We took steps to raise what we consider to be an already high bar for food safety even higher,” said Scott Horsfall, CEO of the California Leafy Greens Marketing Agreement, which was formed after an E. coli outbreak in spinach from the Salinas Valley in 2006. “I think consumers can be assured that the industry is doing everything it can to ensure that the product is safe,” Horsfall said. Food safety experts are skeptical, largely because the danger to produce extends to areas where the FDA has limited jurisdiction, including cattle feedlots that answer to the U.S. Department of Agriculture. Horsfall said produce growers and the beef industry are at least talking about the issue. “There certainly is more communication between the beef industry and the produce industry than what I have seen in the past, and I think that is a good thing,” he said. The FDA reminded state agricultural officials that growers must comply with produce safety rules enacted three years ago as part of the 2010 Food Safety Modernization Act, the first broad change of the nation’s food safety laws since the 1930s. The California Department of Food and Agriculture said Friday that it increased its audits of produce operations this fall by 30 percent, and is pushing to ensure that any faults are corrected in the same growing season.